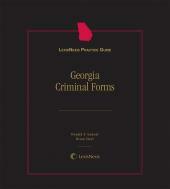 Written for both the business law specialist and the general practitioner, Georgia Corporate Forms is an indispensable, timesaving tool for any attorney who advises business clients. In addition to these forms, the set also includes a wide variety of new forms throughout, including forms to help you manage your trademarks, your financial statements, nonprofits, religious corporations, registration rights, limited liability partnerships, and foreign entities. G. William Speer is a practicing attorney in Atlanta. 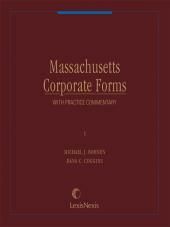 Mr. Speer¿s practice is concen¿trated in the areas of corporate and securities law and mergers and acquisitions. He is a graduate of Duke University and the Duke University School of Law. He is a frequent lecturer and panelist at the seminars sponsored by the Practicing Law Institute, American Bar Association subcommittees on banking and business law, and the Georgia Bar Associ¿ation in the areas of corporate and securities law, leveraged buy¿outs, and professional liability of accountants. Mr. Speer is a member of the Federal Regulation of Securities and Small Business Committees of the Section of Corporation, Banking, and Business Law of the American Bar Association, and a member of the Securities Subcommittee of the Corporate and Banking Law Section of the State Bar of Georgia. Mr. Speer is a partner of the Atlanta law firm of Powell, Goldstein, Frazer & Murphy. Walter G. Moeling, IV, is a practicing corporate and banking attorney in Atlanta. He is a graduate of Duke University and the Duke University School of Law, where he served on the Editorial Board of the Duke Law Journal. 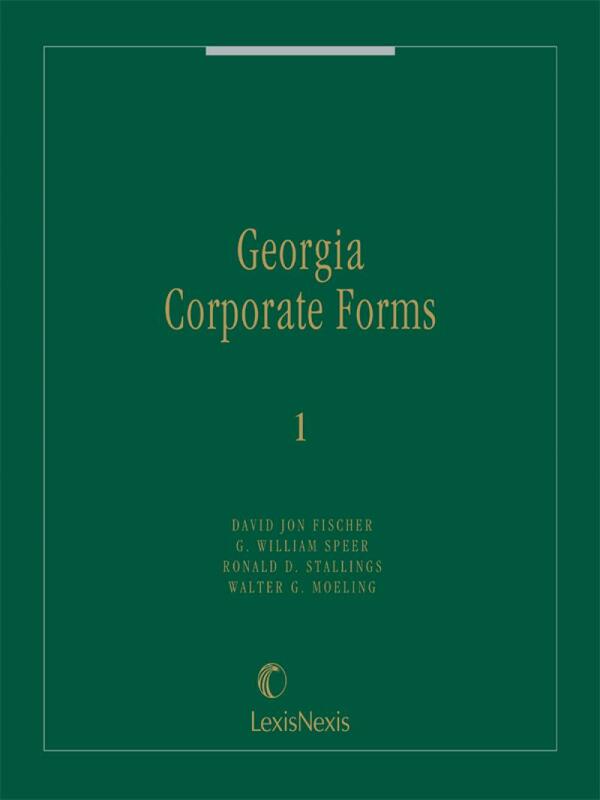 Mr. Moeling is a member of the Section of Corporation, Banking, and Business Law of the American Bar Association, the Corporate and Banking Law Section of the State Bar of Georgia, and the Financial Institutions Committee of the Employee Stock Ownership Association. He has lectured frequently at seminars and continuing legal education programs on banking law sponsored by the American Bankers Association, the Institutes for Continuing Legal Education in Georgia and Alabama, and the Executive Enterprises. Mr. Moeling is a partner of the Atlanta law firm of Powell, Goldstein, Frazer & Murphy. David Jon Fischer has been a sole practitioner in private practice in Atlanta, focusing primarily in corporate matters and business litigation. He is a graduate of the University of Miami and the University of Miami School of Law. He has written extensively on business law issues for various magazines and has written articles for legal journals. Mr. Fischer has taught business associations courses for the juris doctor degree level, and legal environment of business courses at the undergraduate degree level. He has also lectured at continuing legal education programs on corporate law for the Institute of Continuing Legal Education in Georgia. Ronald D. Stallings is an attorney in Atlanta, practicing principally in the areas of corporate and municipal finance. He is a graduate of the Georgia Institute of Technology and the University of Virginia School of Law. 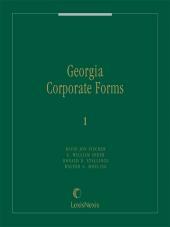 Mr. Stallings is a member of the Corporation, Banking, and Business Law Section of the American Bar Association, the Corporate and Banking Law Section of the State Bar of Georgia, and the National Association of Bond Lawyers. 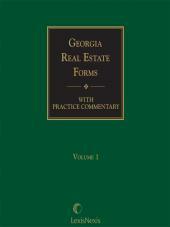 Mr. Stallings is a partner of the Atlanta law firm of Powell, Goldstein, Frazer & Murphy.